The Salisbury City walk introduces Salisbury’s fascinating history and highlights the main attractions for visitors and residents to enjoy in the historic city centre and Cathedral Close. Hear about how the new cathedral, and medieval city with its unique grid system and water channels, were created by Bishop Poore from 1220. During the tour the guide will explain how the city grew to be one of the wealthiest in the country and will show you the medieval homes of the wool merchants who were responsible for this prosperity. See the world famous Doom painting in the parish church of St Thomas and the store where the Duke of Buckingham’s ghost haunts the Blue Boar Inn. Find out what happened to a cheating card player at the Haunch of Venison pub and the story of John Halle whose grand house is now the oldest cinema foyer in the world. The walk ends with an opportunity to view the fine buildings of Salisbury’s stunning Cathedral Close. These delightful Close houses are located around the great Cathedral with its magnificent Gothic architecture, the tallest early medieval spire in the world and the home of one of four original surviving copies of Magna Carta. Starting from the Salisbury Information Centre at 11am – Maximum group size 25 people. Daily from 1st April to 31st October. Weekends only from November to March. Tickets are available in advance from the Tourist Information Centre or from the Guide on the day. Discover the magnificent architecture and interesting characters who have lived in the fine old houses around Salisbury Cathedral since the 13c. The lovely buildings in the Cathedral Close have been inhabited and visited by world famous artists, musicians and writers. Important visitors have included the composer, George Frederick Handel and the great artists, John Constable and JMW Turner while the 20c artist Rex Whistler and his brother the glass engraver Laurence Whistler lived in the close. Writers such as Thomas Hardy, Henry Fielding, William Golding (Lord of the Flies), Leslie Thomas and Ken Follett provide strong literary links. 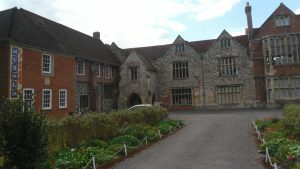 Highlights included on the tour are the 18c, Mompesson House which was the location for the film Sense and Sensibility based on Jane Austen’s novel and the King’s House which is the home of Salisbury and South Wiltshire Museum with its world renowned Stonehenge and Wessex Archaeology collection. Find out about Leadenhall where John Constable stayed, the Wardrobe now the home of the Rifles military history museum, and Arundells, the former home of British Prime Minster, Edward Heath. Salisbury has an amazing collection of ghosts. Join us as we search for Salisbury’s secretive ghosts and listen to spine chilling tales of hauntings and gruesome happenings from the City’s past. 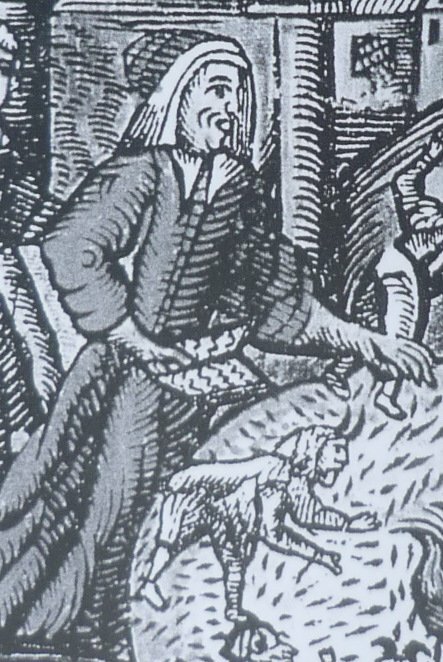 These tours include tales of witches, wizards, ghosts and the violent death of the Duke of Buckingham plus much more…Explore hidden parts of the haunted City and hear of things that go bump in the night! Friday from the Tourist Information Centre at 8pm, May to September.